Looking for something fun to do with the kids? 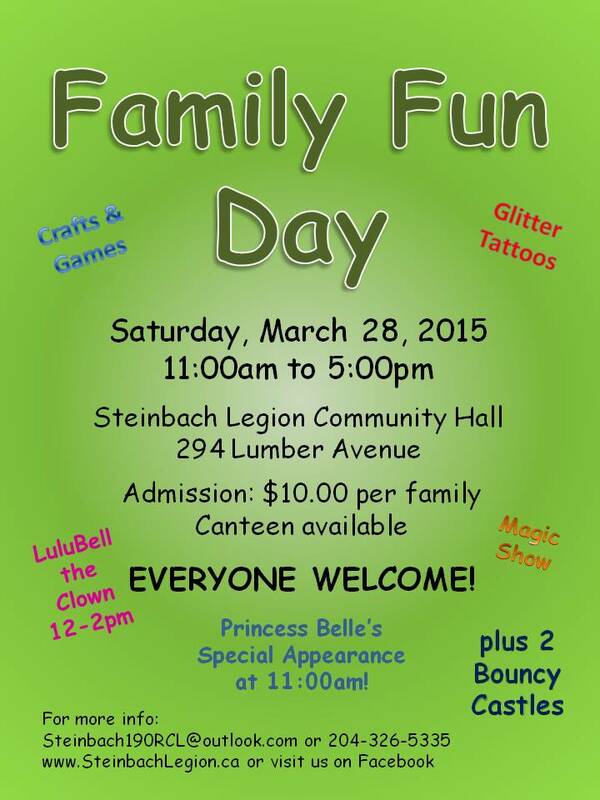 Bring them to the Steinbach Legion Community Hall to jump in a bouncy castle, be crafty and play games. Exciting news…LuluBell the Clown will be there to entertain you with magic tricks and balloon animals! Canteen with food, snacks and cotton candy!